A new rooftop is open for business in Karakoy-Bankalar Caddesi, located on your left while walking up from Gradiva Hotel at the heart of Karakoy. This is the rooftop of House Hotel- former bank building, named after the vaults of the bank, now a tastefully decorated luxury hotel at the bohemian side of Istanbul- where you can enjoy the old town view with Topkapi Palace and Hagia Sophia on your left, Suleymaniye Mosque to your right. Have a tailor made drink from the menu, named after famous movies shot in Istanbul such as Skyfall or Hamam- selected wines mixed with light spirits and served ice cold with a touch of fruit. My choice was Ferzan Ozpetek’s Hamam-Sauvignon Blanc mixed with Cardinal melon, very refreshing. This is the hip place to be in Istanbul for 2015’s summer, so better devour the sunset before it’s packed with locals and famous/posh peeps. Also would like to remind my last summer’s pick for another perfect rooftop-that is Robin’s in Galata. To me it has the best perspective of Galata Tower, “so close you can embrace the party hat” a friend of mine used to say. It has a cosy bar, serves freshly made cocktails and you can also choose the tasting menu if you are up for fine dining (reservation recommended). There is also an Italian Restaurant downstairs at the entrance of the building-Petti Rosso. 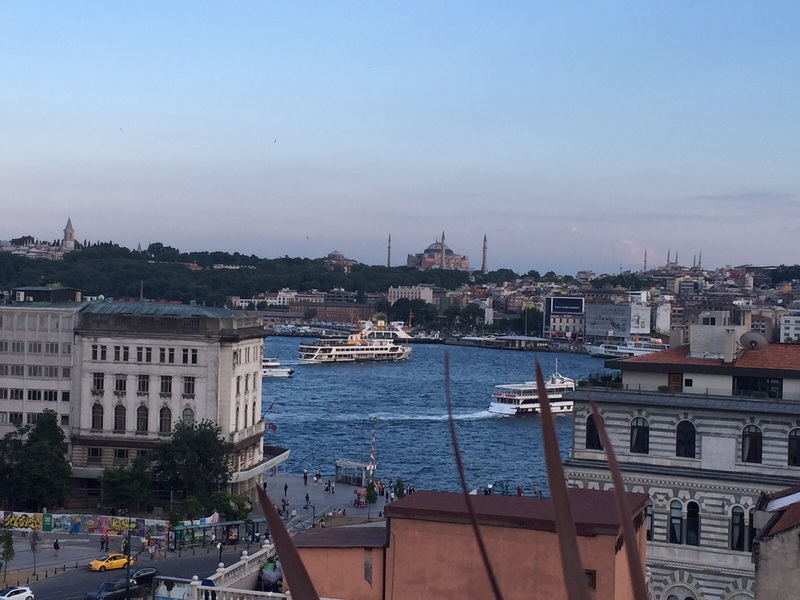 Posted in Storiesonacloud PicksTagged freedom, Galata, Hagia Sophia, house hotels, Istanbul, rooftops, stories on a cloud, summer, Topkapi Palace, travel, urban livingBookmark the permalink.